Encapsulated and assessed "Authentic - Altered" by PSA. Hall of Famer, in his debut-year gum card appearance. 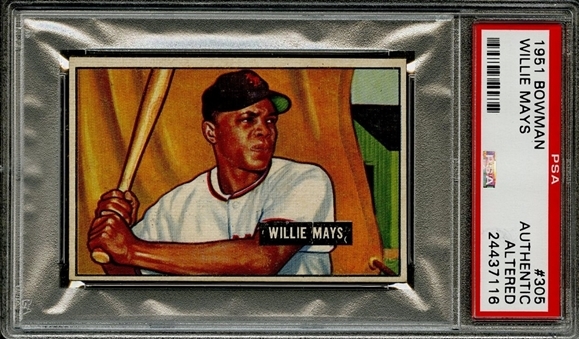 Willie Mays' 1951 Bowman "high number series" rookie card is among the most coveted pieces in the hobby, and this is an ideal example of its type for the enthusiast who labors under a restrictive budget. 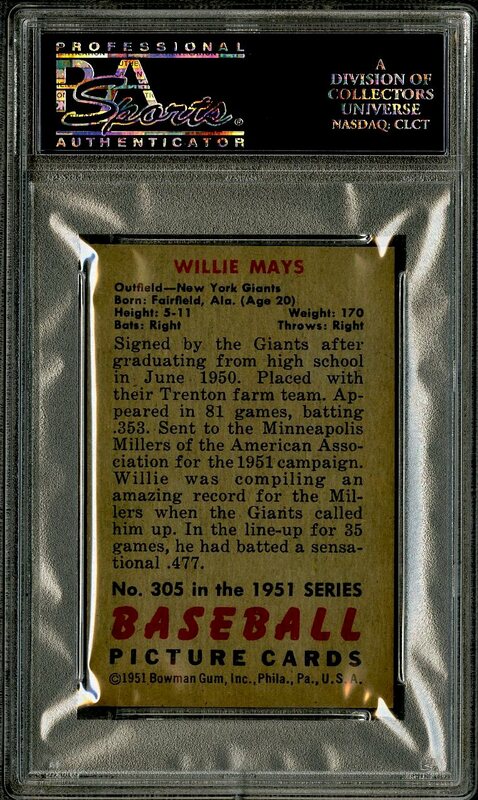 The offered Mays card is distinguished by well-focused color in its obverse illustration, and the back is fully legible. 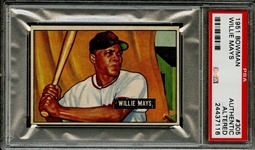 The collectible's margins concede evidence of discreet trimming. A surprisingly appealing vintage piece, projecting about EX/MT display quality.